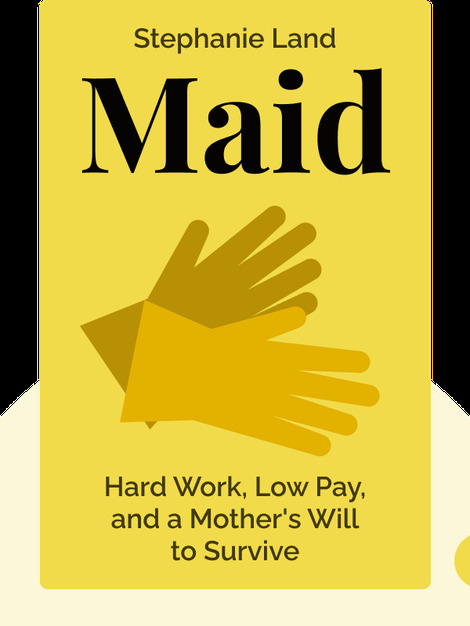 Maid (2019) is a memoir that tells a powerful story about a low-income single mother’s experience raising her daughter, working as a maid and struggling to get by in the United States today. A deeply personal account, it also has broader implications, providing insight into the social, cultural and psychological dimensions of poverty. 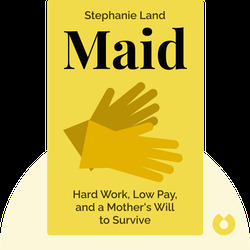 On her way to becoming a writer, Stephanie Land overcame many challenges – an abusive relationship, descent into poverty and an exhausting job as a maid and single mother. She is now a freelance writer who has been published in the New York Times, the New York Review of Books, the Washington Post, the Guardian, the Nation and Vox. She’s worked with the author Barbara Ehrenreich, participating in her Economic Hardship Reporting Project.